I will participate the next 28 and 29 of October to a consultation organized by the United Nations in New-York about “The impact of advertising on cultural rights.” Cognitive neuroscience is currently changing many things in society. When it comes to business and advertising, neuromarketing has become quickly a hot topic mixing hype and enthusiasm with doubt and fear. Ariely & Berns wrote in 2010 a Nature Neuroscience Review sketching the first global analysis of this burgeoning field. Here is a small summary. The authors first delineate what marketing is about: matching products with people. It relies on designing a product according to consumers needs and values, as well as optimizing offers, prices, and promotion strategies of the finished products. These complementary aspects rely traditionally on two approaches: the simple and focused (e.g. survey), and the complex and detailed (e.g. market tests). The first is inexpensive but imprecise, and the second is precise but expensive. What makes marketers so enthusiastic about neuromarketing? They hope that neuroimaging will reduce costs by streamlining the product development cycle. From design to promotion, neuroimaging may help to evaluate simultaneously expectations and preferences of consumers. This later part is a “holy grail” for them, since brain activity can potentially reveal information about the consumers that traditional methods cannot! But do our brains contain a “buying button”? Neuroimaging opens a window on consumers’ intimate brain activity, and thus potentially on their unconscious preferences. Our limited understanding of the brain, however, prevents us from establishing any direct relationship between a blob “lighting up” in the brain and our individual preferences. The field of neuroeconomics—investigating decision making—has nevertheless uncovered specific brain patterns causally linked to rewards and disgust. Although those conclusions are preliminary, the neuromarketers have already started using these activations as their key probe for consumers’ preferences. The authors finish with a panorama of available technologies and first applications in advertising, architecture, and politics, for example. They emphasize the need for guidelines: technical ones for marketers, and ethical ones for consumers. But the hope in neuromarketing collides with its hype. Since the marketers are not neuroscientists, their practices are strongly debated. 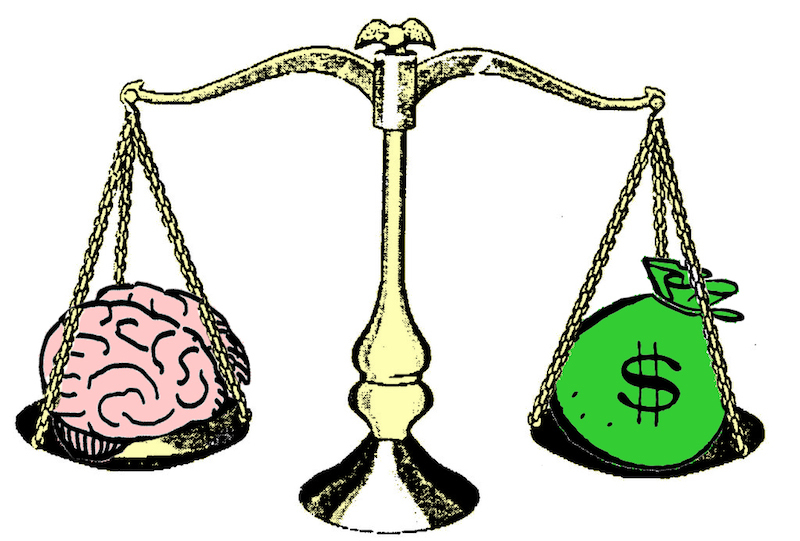 Neuromarketing is well “marketed” but its scientific values are questioned, especially at the ethical level. Where does marketing stop, and manipulation begin? A strong imbalance of knowledge and power between consumers and businesses can interfere with basic civil rights. Neuromarketing raises an old question: Who is benefiting—the consumers or the businesses? We will talk about this issue—among many others—at this UN workshop. Please, do not hesitate to comment, share your ideas or propose other bibliographic references—not only neuroscience, but also social and developmental psychology. This may help a lot to nourish the discussions. Source: Ariely, D., & Berns, G. S. (2010). Neuromarketing: the hope and hype of neuroimaging in business. Nature Reviews Neuroscience, 11(4), 284-292.